CustomerGauge, a leading supplier of customer success software solutions, today announced it raised $2.5million in Series A funding, led by Newion Investments. The funding will be used to aggressively grow its engineering, sales, marketing and expand into the US market. Headquartered in Amsterdam, the company was co-founded by Adam Dorrell and Camilla Scholten, who have a passion for measuring customer success. CustomerGauge has hundreds of customers in Europe, including BMW, Philips, Electrolux, Wolters Kluwer, H&R Block, Canon and AEGON. Many of these clients are using the system to improve customer retention, based on the Net Promoter® system, of which CustomerGauge is a recognized innovator. 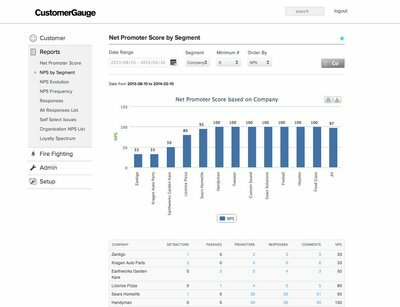 CustomerGauge powers “Customer Success” in companies – a growing trend that focuses on increasing revenue from existing customers. Their Software-as-a-Service (SaaS) solution blends Net Promoter Score, customer engagement metrics and revenue to provide Customer Success metrics, which is especially effective in business-to-business enterprises. 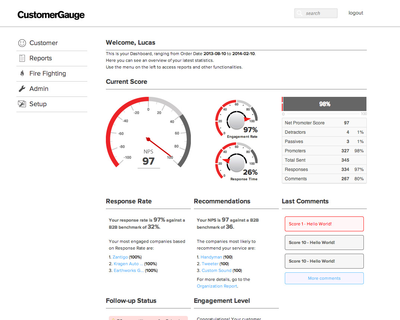 CustomerGauge measures 20 million contacts a year and has integrations with platforms including SalesForce, which provides easy to action tools for front-line sales and support staff. Newion Investments, a leading Dutch B2B Venture Capital firm, led the round, which is the first external funding that CustomerGauge has taken. Patrick Polak, Managing Partner of Newion Investments, will be joining the Board of CustomerGauge. Said Patrick: “CustomerGauge has identified an opportunity to help companies increase growth with an innovative solution, and has a track record of delivering value. We have been impressed with the CustomerGauge team and the offering they provide, and are looking forward to supporting them and being part of this company. With our knowledge of companies that specialize in B2B software, we can help and fuel the international expansion of this company”. Newion has been one of the most successful investment companies in its sector since it was founded in 2000. Portfolio companies include Collibra, iWelcome, Reasult, MaPS Systems, 24iMedia, Vector Fabrics and Nallian. Now investing from its third fund with a value of € 50 million, Newion focuses on business technology and software companies in the Benelux. The main investor in Newion II is the European Investment Fund, which supports innovative companies through the EU ‘Competitiveness and Innovation Framework Programme’ (‘CIP’).